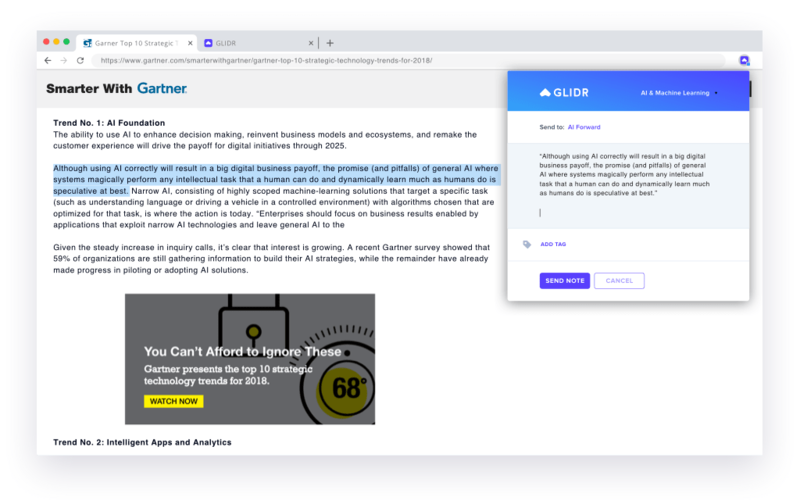 GLIDR centers product management around discovery and validation, leading agile teams to more successful product launches. 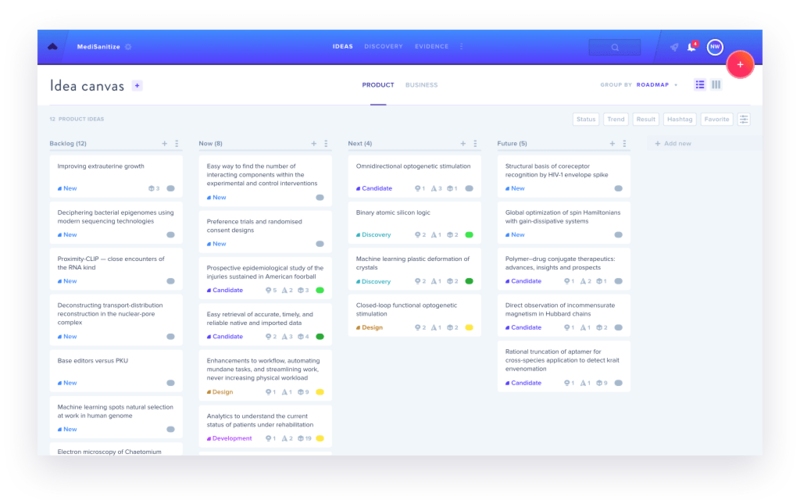 Manage all of your ideas in one place to gain a big-picture understanding of how your products should evolve. Use evidence of all kinds to support the ideas with promise and bypass the ones without. Learn more about what ideas are working and why, plus verify which ones to build next. Organize business strategies and track progress using the Lean Canvas, Business Model Canvas or a custom framework. 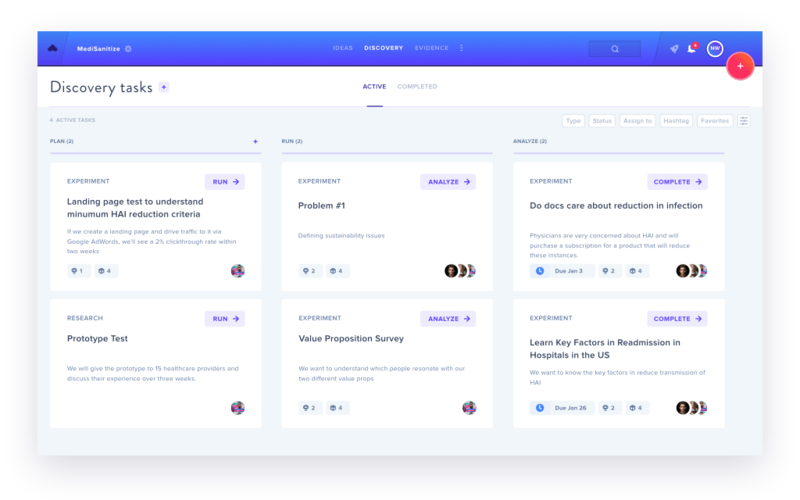 Create and enhance your roadmap with connections to user feedback, customer interviews, research and experiments. Develop a custom workflow and then follow the status of every idea from discovery through delivery. Capture critical features, user stories, epics, or strategies as product or business ideas. Prioritize the risky ones for testing. Gather knowledge from Intercom, Chrome, interviews, secondary research and experiments. Then connect it to ideas. Rate evidence as you go using a 5-point scale. Then use it to validate, sort and prioritize your ideas and roadmap. Plan, run and analyze research and experiments at any stage, from early exploration to growth-stage testing. Export PDF reports of research and experiment findings. Share with stakeholders and influence product decisions. Keep all of your insights in one searchable location, and use it to spot patterns you might have otherwise missed. Record data from any website to GLIDR without leaving the page. Then connect it your product or business ideas. Gather raw customer feedback from Intercom in real time and connect those conversations to relevant ideas. Stay up to speed with product status and never miss a team conversation using Slack notifications.